Spice Room - Please order online directly from us. 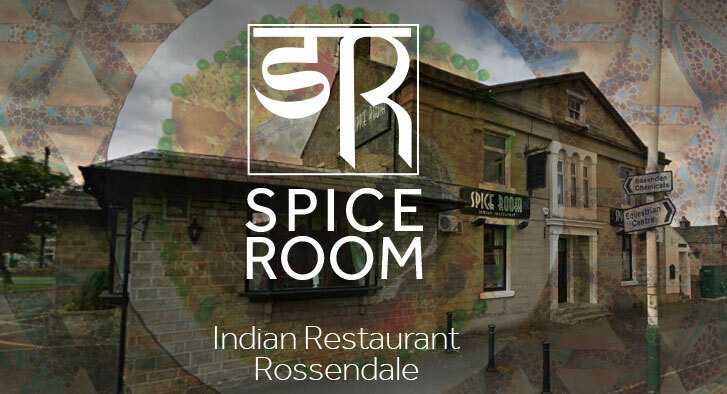 The Spice Room in Rising Bridge, Rossendale continues to gain acclaim as one of the finest local Indian takeaway restaurants. We are pleased to present our web site which brings you the convenience of placing takeaway orders for delivery or collection online. Featuring an extensive menu of Indian Sub-Continental cuisine, our restaurant is a family-run establishment catering to those who enjoy dishes which are genuine in origin and use of traditional Indian ingredients. We pride ourselves on our attention to detail, and dishes such as our Lamb Kuvani, Murghi Spice Special or our excellent Tandoori dishes have helped us attain a loyal following both locally and, in recent times, further afield. Enjoy a taste of India in the comfort of your own home. On orders over £12. We deliver to BB4 & BB5 Free of charge, to BB6 for £3. Just tell us when you'll be coming & how many diners. Spice Room Rossendale (map) 01706 215 891 Feedback PLEASE!